Which Arm Lift Technique Is Right for You? Loose skin on the upper arms is a common body issue for men and women. If you're troubled by excess, hanging skin along your upper arms, arm lift surgery may be right for you. Body contouring procedures can help patients achieve beautifully sculpted bodies when diet and exercise are unable to provide the desired results. There are different types of arm lift techniques, allowing arm lift surgery to be customized to each patient's needs. Learn more about arm lift techniques in this overview from our Victoria, TX plastic surgeon, Dr. Brian F. Burns. Minimal incision Arm Lift: Minimal incision arm lift surgery, also known as a mini-arm lift, is best suited to patients with minimally sagging skin and good skin elasticity. During a minimal incision arm lift, incisions are made under the arm and slightly into the underside of the upper arm, keeping scarring hidden. Traditional Arm Lift: Traditional arm lifts can help patients with moderately excessive loose skin achieve contoured upper arms. During a traditional arm lift, an incision is made on each arm from the under arm to as far down as the elbow. Extended Arm Lift: Patients who have lost significant weight may have an excessive amount of loose skin extending from the upper arms to the chest wall. These patients are generally best suited to the extended incision arm lift. With an extended arm lift, an incision is made along the upper arm, the underarm, and along the chest wall. Recovery after arm lift will vary depending on the type of arm lift performed along with individual healing times. Regardless of the type of arm lift performed, patients can expect to feel some pain or discomfort, swelling, and bruising. Pain and swelling should subside in the days following surgery. If pain or swelling persists or becomes worse, it may be a sign of infection or other complication and should be brought to your doctor's attention immediately. During the first week after surgery, it is important to avoid strenuous activity and heavy lifting to reduce the risk of complications and allow the body time to heal. Most patients will receive approval from their doctor to resume heavy lifting and strenuous activities after six weeks. 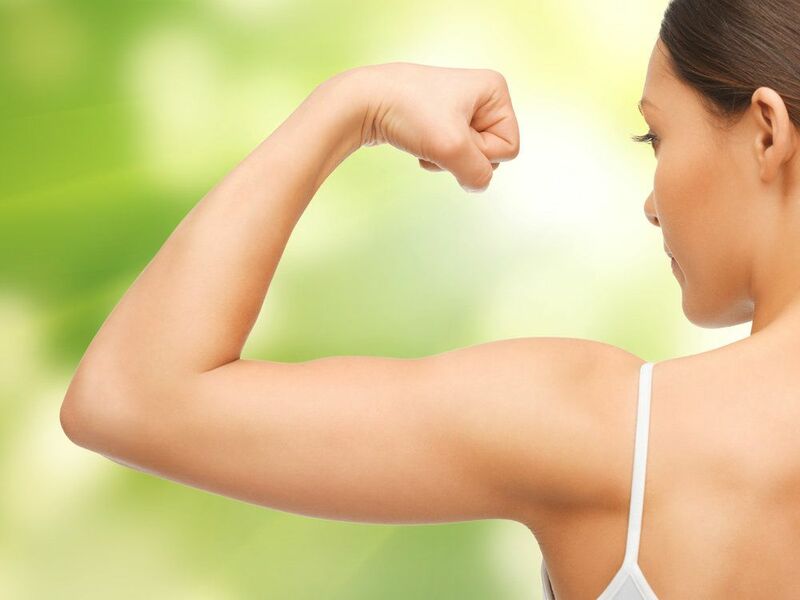 Many people with excess upper arm skin make good candidates for arm lift surgery. Candidates should be in good general health and suffer from loose, hanging upper arm skin. To find out if you're a candidate for arm lift surgery, we welcome you to schedule a consultation with Dr. Burns.